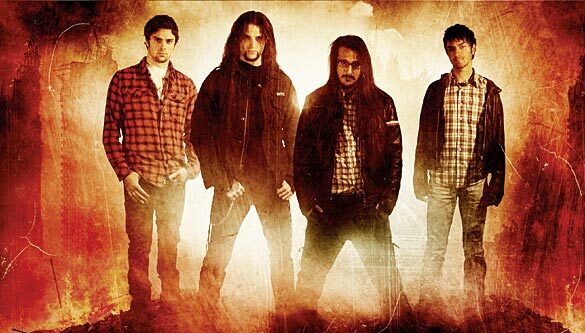 After releasing several successful albums worldwide with their main band Disarmonia Mundi (the italian death metal act known for the presence of Björn "Speed" Strid from SOILWORK on its ranks), poly-instrumentist Ettore Rigotti and screamer Claudio Ravinale joined forces with guitarist Elliot Sloan (also known for being a professional skater in the Tony Hawk team) to form a new band called "The Stranded". Keyboard player Alessio NeroArgento has been subsequently added to the line-up to complete the songs for their debut album entitled "Survivalism Boulevard", scheduled on June 2012. 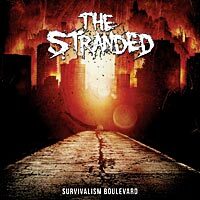 "Survivalism Boulevard" can be described as a modern combination of powerful extreme elements such as feral vocals and fast riffing mixed with more melodic and catchy moments provided by emphatic choruses and industrial keys.